A drone is one of the simplest air vehicles to build. Aside from possibly the frame, building a quadcopter is more of a selection process. However, the first step in putting together a DIY quadcopter is to go through a conceptual process, and ask some basic questions. 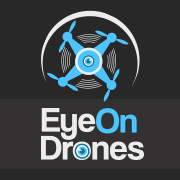 Questions like, “what is the quadcopter going to be used for?” In general, assuming this is for outdoor flying, quadcopters usually fall into two categories: built fast for racing, or built slow and stable for aerial photography. The components that come together in building your very own quadcopter are: the frame, the motors, the propellers, the batteries, the autopilot/flight controller, and other miscellaneous electronic components like the electronic speed controllers, and so on. Here’s a quick list of all the parts you will need and where to buy them. You can read more detailed information about each parts below the summary list. The primary purpose of the frame of the quadcopter is to hold all the components together, and in so doing withstand loads. The loads on a quadcopter’s frame include the weight of all the components, vibrations from the spinning rotors and motors, and from planned or unplanned impact. 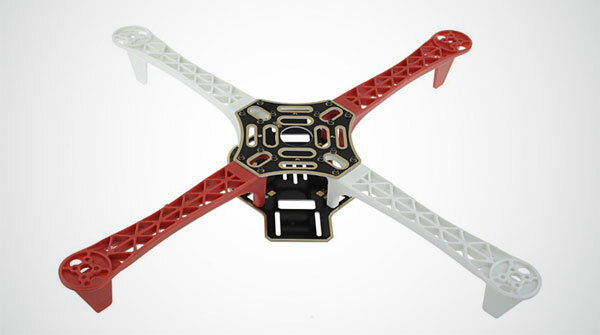 In general the quadcopter’s frame consists of the center frame where electronics and accessories are mounted, the four arms attached to the center plate, and four motor brackets that connect to the four arms. 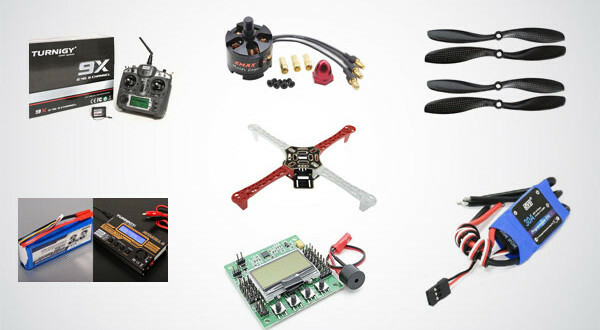 Building the quadcopters frame primarily involves the material selection of these components. The materials don’t all have to be uniform. a. Carbon Fiber: Carbon fiber frames provide many advantages, including exceptional strength to weight ratio, therefore they tend to be lighter than other types of frames. They also absorb vibrations very well, and this ensures the electronic components and sensor readings are not disturbed or subject to error. On the downside, they can be expensive. A good example of a DIY carbon fiber frame comes from Easy Drone, a Kickstarter project where hollow carbon fiber tubes were snapped together to create an remarkable modular frame. Another example is the FPV Racing Mini Quads, which use a panelized carbon fiber frame. b. Wood: as a material for quadcopter frames, wood is easily accessible and easily formed. Wood also has good vibration absorbing properties. However, on the downside, wood has low impact resistance, and can be easily damaged or cracked from high- impact landings, and other high loading/ stress events. Examples of wood frame quadcopter is the homemade i4 Quadcopter. c. Aluminum: rails made of out of aluminum are also popular in the quadcopter community, because of their relative affordability, rigidness, and lightness. However, aluminum does not absorb vibrations very well, and would transmit them to the sensors if not properly damped. And, this could cause error readings from the sensors jeopardizing the flight worthiness of the quadcopter. An example of an aluminum quadcopter is this quadcopter with a pusher propeller. d. Glass Reinforced High Density Foam: Many DIY experts rely on fiber glass reinforced structures, because it gives the relative light weight and high strength-to-weight ratio found in carbon fiber, without the price tag. This material also has great impact resistance, although it tends to use a lot of material. The use of high density foam also allows for creative expressions, such as quadcopter UFOs. 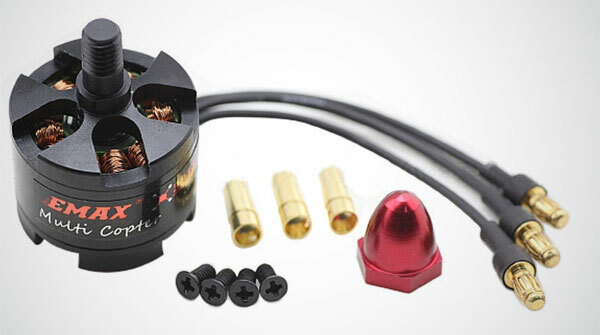 Due to their higher efficiency and relative lightness, brushless motors tend to be used more in quadcopters. In order to properly select the right motor for the quadcopter it is necessary to correctly estimate the total weight of the quadcopter, including the weight of the motor itself and any accessories like gimbals and cameras. Motor manufacturers provide specifications outlining among other attributes of their motors, the thrust, efficiency, KV rating, RPM, and the physical characteristics of the motor. When it comes to efficiency, a higher value is always desired. The RPM comes into play when selecting the propellers. Finally, two of the motors should be clockwise rotating and the other two, counter-clockwise. Like the motors, the propellers should come two counter-clockwise rotating and the other two clockwise rotating. Propellers are characterized by diameter and pitch. For example, 10 x 4, this is a ten inches diameter propeller with a pitch of 4. Pitch is the linear distance a propeller travels in one revolution. Propeller selection is all about balance and compromise. Larger diameter propellers draw more current, but generate greater thrust. Quadcopters with large payloads tend to use larger propellers and lower RPM, which is good for stability. 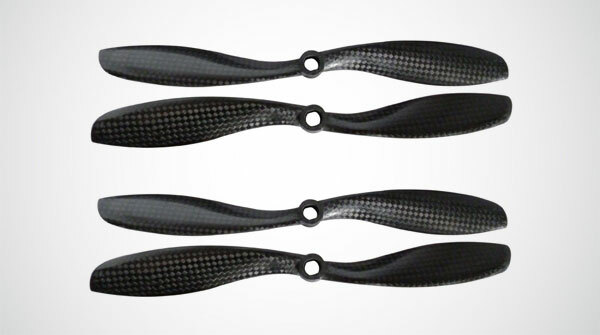 While smaller diameter propellers are more agile for quick maneuvering and change in speed, but need significantly higher RPM for larger loads which can draw more power. Lower pitch propellers pull less current. And, higher pitch propellers move more air hence greater thrust, but they also can create stability issues due to increased turbulence. 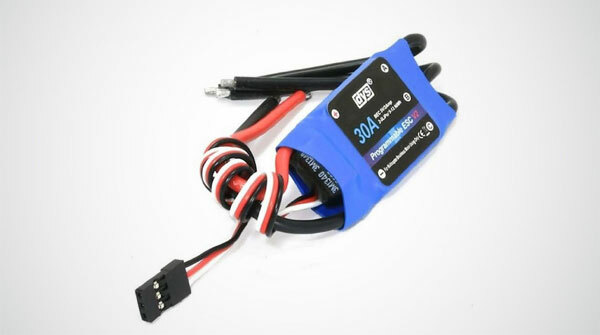 Although, NiMH (Nickel Metal Hydrides) can be used in quadcopters, because they are inexpensive, it is recommended to use Li-Pos (Lithium Polymer) batteries. This is because Li-Pos are much lighter and have a higher charge density than NiMH. Li-Pos come in multiples of the voltage from a single cell which is 3.7V. The S-rating of a battery pack is the number of 3.7V cells there are in the pack. Therefore, 3S is three cells with a voltage of 11.1V. 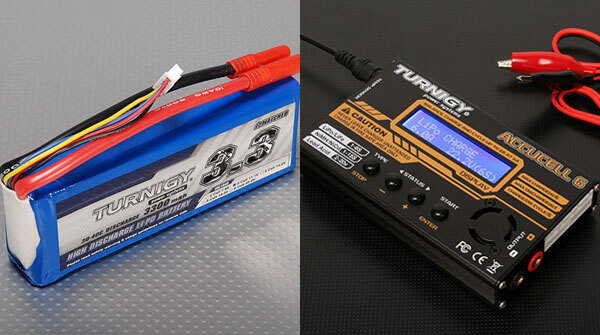 Another rating on a battery pack is the C-rating, which helps determine the maximum current the battery pack can deliver, a number that is then matched to the motor. Ultimately, a trade-off has to be established in order to properly select the battery pack. A quadcopter, although simple in concept, is naturally unstable. Therefore, they require an active flight control system, or auto-pilot, to assist the pilot or completely take over control of the quadrotor for autonomous flight. The auto-pilot must be able to control all the degrees of freedom of the quadcopter, which are altitude, yaw, roll and pitch. Each degree of freedom is controlled by varying the thrust of the motors. An auto-pilot’s components can be assembled unto the quadcopter, or a single auto-pilot commercial unit can be purchased. If the components are assembled, these are the Inertial Measurement Unit (IMU) which measures the velocity, orientation and gravitational forces of the quadcopter. A gyroscope measures the angular velocity around the three Cartesian axes, centered on the quadcopter. A magnetometer is used to determine which way is south and north. Commercially available auto-pilot systems include Pixhawk from 3DRobotics, NAZA auto-pilot systems, and OpenPilot system. a. Electronic Speed Control (ESC): four ESC are usually required, in order to convert the DC power coming from the batteries to AC, because brushless motors are AC and cannot utilize DC current. 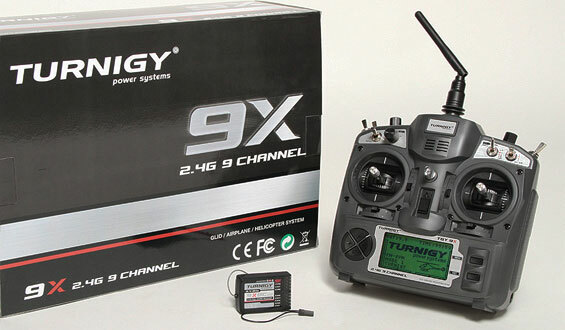 b. RC Transmitter: RC transmitters are usually selected based on the number of channels required. Each channel is dedicated to a single function of the quadcopter. For instance a four channel quadcopter can do four things, throttle, pitch up and down, yaw left and right, roll left and right. If additional channels will be required, for additional functions like controlling a camera gimbal, or a retractable landing gear. 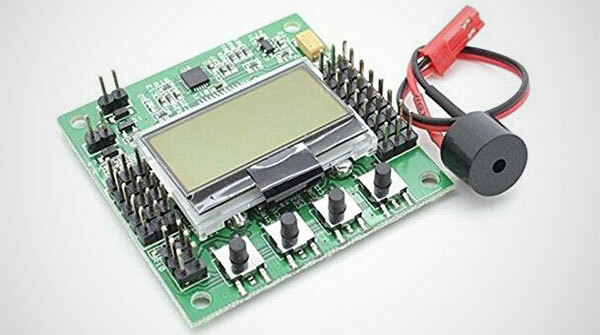 c. Barometer can be included in the quadcopter if it is required to fly very high. A barometer measures humidity and atmospheric pressure, and uses it to determine the altitude of the quadcopter. d. GPS module provides communication with GPS navigation satellites, and is used to obtain accurate information on the position and speed of the quadcopter. It is an integral component of the autonomous drones. e. Ultrasonic sensor is used to measure the distance to the ground. It is especially useful when flying indoors, where there is no GPS connectivity. 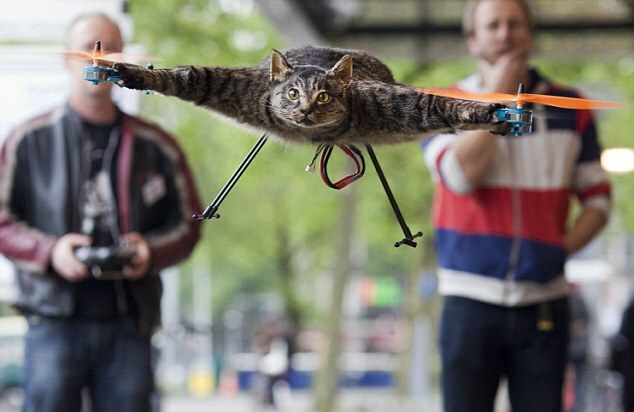 It is also used during landing, and hovering. And here’s a good informational video showing how to put all the quadcopter parts together. Of course, the parts and some things will be different depending on the parts you end up buying and other addons you decide to add.